Motorola has promised that there are exciting things coming for the company in 2011, following the critical acclaim for the Atrix smartphone and the Xoom tablet. Speaking to TechRadar at the IP&TV World Forum in London, Andy Hooper, Europe & MEA director of converged experiences and software for Moto expressed his excitement at how things were going for the company. Asked if 2011 represented a major new leaf for the company, Hooper answered in the affirmative: "There's exciting things ahead for Motorola in 2011," he enthused. Motorola has received critical acclaim for its recent products, TechRadar's Motorola Atrix review awarded the product four stars, praising the built in desktop OS which means that it can be plugged in to a special dock to function as a 'webtop'. 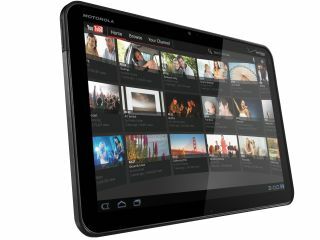 And the Motorola Xoom tablet has also quickly earned its billing as a key competitor to the mighty Apple iPad in a burgeoning market. Motorola made major changes to its setup recently, with Motorola Mobility formed to concentrate on the multi-screen experience. That means a greater concentration on the overall customer experience, as our devices become more converged, and the experiences more universal across them. "When home and mobile came together we did more than simply put the teams under the same corporate entity," explained Hooper. "We took the product teams and put them into a new business unit to work on a converged experience. "So you have a mix of people who have worked at the cutting edge of video delivery and some of the people who worked on our most iconic phones in a room together. "That's brought some really interesting developments and you will see more of those in the next six to twelve months."